Esports is quickly rising to fame with players seeking glory and huge prize pools along with it. Much like professional football teams, there are coaches, team houses and regular practice sessions. Unfortunately, it’s not all been good news for the stars of the digital world. As with any sport, there are likely to be some scandals and its a big one. 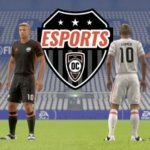 Match-fixing is currently rocking the promising foundation of esports and threatening to hamper their recognition as real sporting events. Match-fixing has not just targeted one game and as the industry has grown, there have been several scandals across numerous titles. With the industry itself now reaching over $600million in worth, it’s easy to see why even the more unscrupulous members of society want to hop aboard the hype train. If you’re wondering exactly how the match fixing has been taking place, look no further than Life (See Seung-Hyun to his friends), who was arrested in 2016 for throwing not one, but two Starcraft II matches. 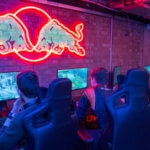 The pay-outs for high-profile professional gamers willing to risk it all and throw a match are large, and unfortunately, it seems no title or level of esports is safe. Regulators have found it hard to catch the perpetrators behind the offers, and it’s the professional players who have been running into trouble instead. It doesn’t stop at the big leagues though, numerous smaller matches and teams have been caught rigging matches. Often they or someone they know, will place bets and fix the game so that they come out financially on top, no matter whether they’ve purposefully won or lost. The ESIC has been and continues to monitor betting behaviour. It alerts suspicious activity to a number of areas, including operators and gambling authorities, so that action can be taken. The problem however, still persists. While the ESIC can catch suspicious betting behaviour, this is more of a reactive way to monitor things rather than proactive. A secondary problem that is also hampering the industry, is an undercurrent of duplicitous skin gambling. The virtual, and purely cosmetic skins offered by various games are now traded for and act like a second currency. They have become another way to gamble and bet on the world of esports. They are a target for illegal activity though, as it is much harder to regulate this aspect of betting and trace exactly who has been involved. Looking at it simply, you could argue that the ESIC should be doing more however, it’s not their role alone to monitor matches and betting behaviour across the industry. A pretty major drawback with trying to fight the problem of match-fixing, lies in the fact that there is no overall governing body for esports. So, getting everyone together across the board to take action in the same way is incredibly difficult. Until esports can mature in this fashion, the burden lies with organisations like the ESIC and tournament organisers. Hopefully, match-fixing will not have poisoned the industry completely by then. How can esports stars lengthen their gaming careers?